But luckily enough a friend of mine had naked nails a couple of months ago and she slapped this on. 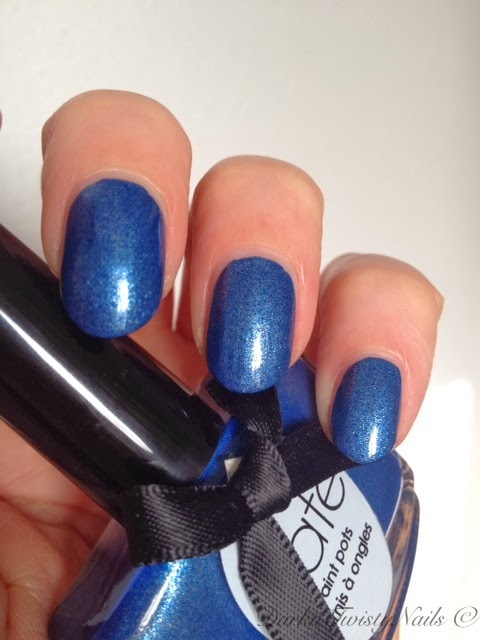 In the bottle it might look like just another polish, but on the nail... so so gorgeous! 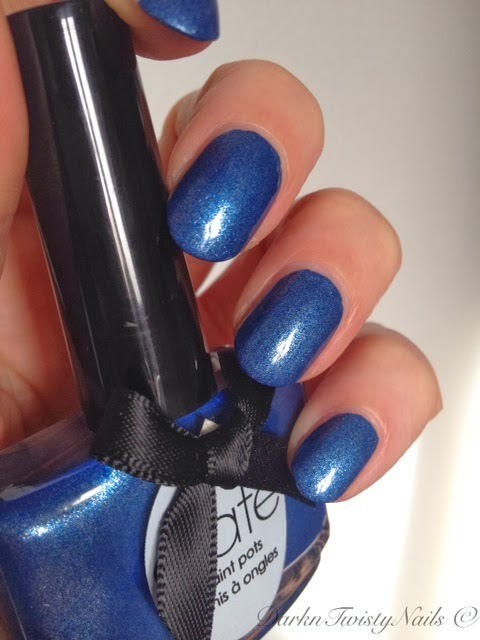 Ciate Regatta is described by Ciate as a strong dreamy deep blue with and irredescent shimmer to deliver the perfect underwater party look. Perfect for making an impact with your favourite classic dress. Make colour pop and attitude bold. 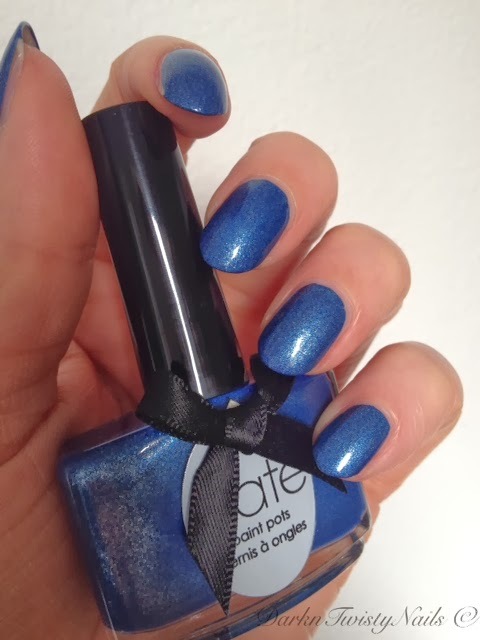 Well... that's a lot of words to describe a denim blue polish, lol. The formula is what makes this polish amazing! It's a 1 coater! It glides on the nail with ease, dries really fast and almost a little matte, but not quite. It reminds me of the OPI Suede finish, but a little more glossy. Of course I did 2 coats, because I just can't help myself! I love this and because you can totally get away with just 1 coat, it's perfect for those times you need a pop of color on your nails, but don't have enough time to do multiple coats. Maybe I should just try out all the Ciate polishes, because this is the second one I bought that I originally passed on because it didn't look like much in the bottle. 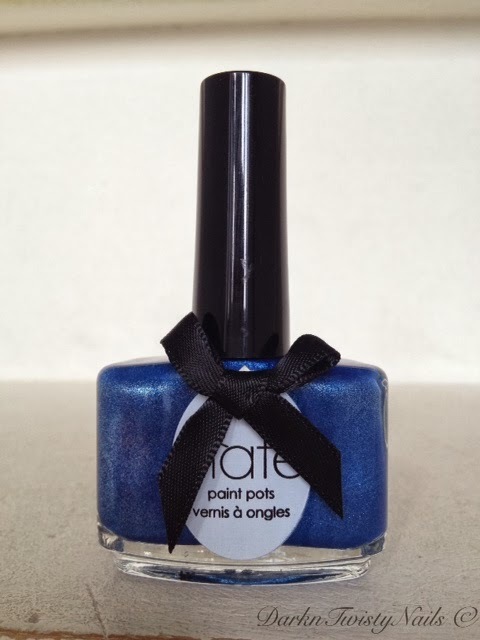 Have you tried any Ciate polishes, if so, which would you recommend? You should try one, they're great! Wat een mooi lakje! Daar heb ik nog wel leuke bijpassende enkellaarsjes bij hihi. Waar is Ciate te koop? Daar ben ik stiekem wel benieuwd naar! Ik heb de mijne bij De Bijenkorf gekocht.